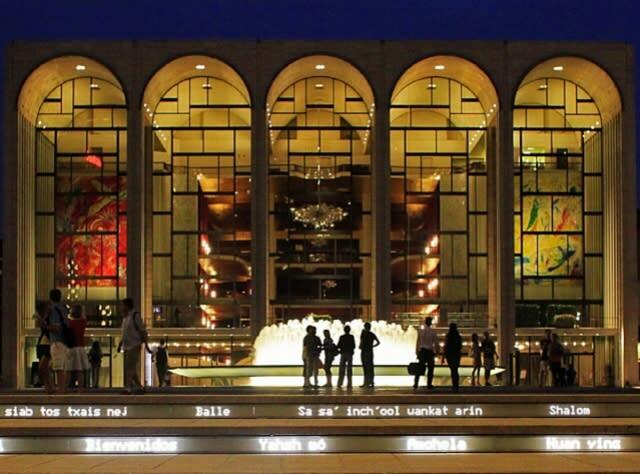 The New York City performing arts scene is regarded as one of the best in the world, with Broadway as its brightest star among all the other iconic performance spaces like Lincoln Center, Carnegie Hall, The Metropolitan Opera, Apollo Theater, Beacon Theater and legendary jazz clubs like The Blue Note. But all across New York State, from Tilles Center for Performing Arts on Long Island to Chautauqua Institution in the west, you’ll find high-quality venues and performance art. Westchester’s four-theater complex, The Performing Arts Center, Purchase College, is the major regional presenter of dance and performances in all the arts. Scenes from Fosse’s All That Jazz were filmed here; many celebrated artists (YoYo Ma, Dave Brubeck, Itzhak Perlman) have recorded here; and several Tony Award-winning productions were rehearsed and previewed here before Broadway. Center for Performing Arts in Rhinebeck was intentionally designed to blend into its bucolic Hudson Valley surroundings and pay homage to summer stock. Year-round, this inviting and cozy red barn presents a mix of Broadway classics and new works, and it has a thriving youth focus too. 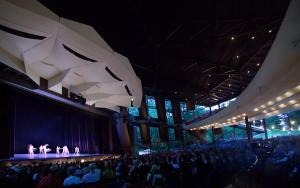 Saratoga Performing Arts Center (SPAC) hosts The New York City Ballet and The Philadelphia Orchestra and presents an eclectic and challenging series of chamber music, jazz, rock and pop concerts in its acoustically ideal amphitheater. SPAC also oversees the National Museum of Dance, which offers special events, programs, and classes. Kaatsbaan International Dance Center is set in a stunning natural environment overlooking the Hudson River and the Catskill Mountains. Founded by four professional dancers, it offers dance studios, residencies, and a professional performance floor the size of the Metropolitan Opera stage. Center for the Arts of Homer is a 400-seat multi-dimensional arts center that brings an array of well-known musicians, community thespians, artists and dancers to its central New York stage and gallery. The performing arts in New York are alive and well at Glimmerglass Opera and at an uptown Kingston space, BSP Lounge, that has a full soundstage and serves as a venue for film festivals, dance, community events and concerts. Clemens Center for the Performing Arts, considered the most beautiful theater between NYC and Buffalo, partners with multiple arts organizations and resident companies to increase access to fine performances. Shakespeare in Delaware Park, a Buffalo tradition since 1976, is among the largest free outdoor “Bard” fests. Their grand Tudor-style stage shines under the midsummer night’s stars in a historic park designed by Frederick Law Olmsted. Down south in Jamestown, the Lucille Ball Desi Arnaz Center for Comedy supports rising comedians in Lucy’s hometown. Since its 1991 inception, Lucy Comedy Fest attracts 10,000+ visitors each year (first August weekend), with performances by Ray Romano, Joan Rivers, and others. Since 1989, Park Playhouse has produced free outdoor summer theater in Albany’s Washington Park; their concentration on arts education and school plays for young people has helped produce the next generation of Albany theater artists. Bravo!